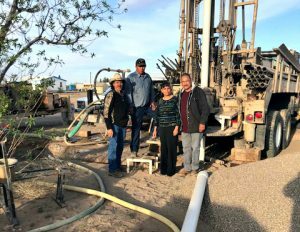 The 10th Annual Water Well Trust (WWT) Auction will again benefit WSC’s 501(c)(3) nonprofit organization that was established to provide water wells for low income Americans who need safe drinking water. For our previous auctions we have received donations of fabulous vacations packages, sports tickets, gift cards, jewelry, designer leather goods, cameras, iPods, iPads, headphones, Wii, PlayStation & Blu-Ray systems, home theater systems, GPS Systems, Bose sound system, Kindle, Netbook, Maine lobster dinners, wine, artwork, collector books – the list goes on and on. So, be creative, be generous and let’s make 2018 our most successful year! To donate, please complete the form below and click "Donate Now"